This time our guest of interview is Mr. Eskander Ali Biswas, former Assistant Headmaster, English Version, Ideal School & College, Motijheel, Dhaka. He served for 27 years in teaching at the said institution. 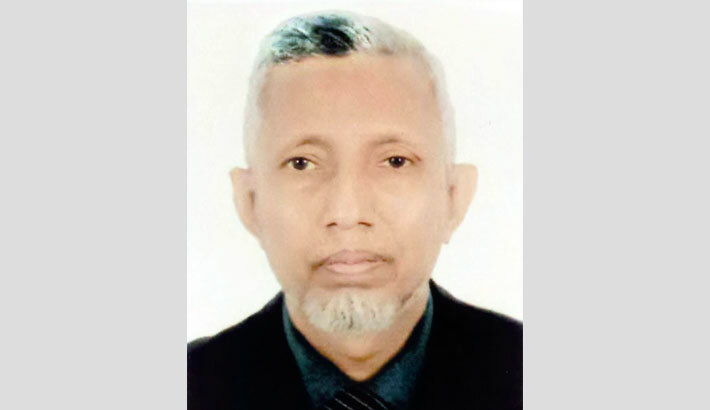 He is currently the founder principal of Leading Ideal School & College, Khilgaon, Dhaka. He is also the member of Dhaka Bar Association. Eskander Ali Biswas came of a noble Muslim family on 15 February, 1953 in historical Gopalganj District. His father’s name is Nesar Uddin Biswas and mother’s name is Tara Bibi. He passed SSC from Khulna Zilla School, HSC from Dhaka College. After that, he obtained his LL.B. (Hons.) & LL.M. degree from University of Dhaka. He authored four academic books for the school-going students entitled- A Leading Book of Communication English, For class- V, VI, VII (Published in 2003); A Leading Book of Communication English, For class- (VII) (Published in 2005); A testimony to English Grammar, Translation and Composition, For Class- V (Published in 2003). What follows is an excerpt of the interview taken by Khairul Islam Taj. Why did you choose teaching profession despite being a Law Graduate? I used to teach in different coaching centers even in my student life. And, after being graduated from Law Department, University of Dhaka, I joined the Bar. So, in parallel, I had the experience of both lawyer and that of a teacher. What has driven me to become a teacher is that teaching as a profession is comparatively great. It is not merely a job, rather a benevolent service towards the society at large. Generally, the service rendered by an advocate is contractual and commercial in aspect because his profession is called law practice or legal profession. Because of wider scope of service towards mass people and society, I preferred teaching profession. May be, I could not adapt myself with the environment of court since the activities and intrigues of the court compelled me to leave it. As a consequence, I joined the post of an assistant teacher (English Department), Ideal School & College. Most probably, my destiny was predetermined by Almighty Allah. What kind of changes did you find in our education system over the last one decade? During the last decade, we caught sight of a good number of changes in our education system. The Government in power left no stone unturned to introduce the education system with time-fitting changes. To uphold the global standard or universal equivalency, our policymakers have brought radical changes in education system. Most notable changes are- introducing MCQ, Creative system and some other styles at the school level. One thing to note, in our country, after liberation, traditional system of education was in vogue at least for a couple of decades without any interruptions. Trend of learning by heart without understanding the pros and cons of a subject matter has been done away with. Advancement of IT sector has also thrown enormous impact on the education system of our country. IT education and latest disciplines have been added to the curriculum. However, the present system that comes to view especially at secondary stage has been introduced all of a sudden. No big project can be successfully implemented overnight without having an accomplished mechanism or expertise. For example, you have given a locked lock to me to open but you have handed over a wrong key to me. Could I open it? The very possible answer is “NO.” In some cases, right people are not in right positions or in other words, the cart is drawing the horse. It is completely unfortunate for a nation. Do you have any recommendations for the progress of our education system? Definitely I can put forward some. First of all, no education system, whatever it is and whoever introduces it should be inconsistent with the Govt. policies. Since the very definition of education stands for bringing about positive changes in the behaviour of students, moral education must be the foundation of all sorts of education system. Teachers should be appointed more carefully and impartially. Individuals, who are devoted, well qualified, dutiful, sincere, professional and committed to build a self-dependent, self- confident and patriotic nation should be appointed. Skills of teachers are not always up to the mark. So, teachers should get regular training to cope up with the changing patterns in educational sector. Besides, there are innumerable schools and colleges across the country which are not MPO enlisted. These institutions are not getting coveted help and co-operation so that they can be capable of providing quality education. There should be strict control over such institutions and simultaneously attention, co-operation should also be extended for them by the Government. In addition, the Government is dead against sending kids to school below 6 years. But defying this rule, children under 6 are being taught in private schools only to earn more profit. The guardians should be held responsible for sending their tender aged babies to school. In my logic, the Government should not leave primary education unbridled. All the classes before pre-one should be stopped at once. There is a recent rise of English versions at schools. How do you evaluate this evolution? There has been a stupendous prosperity amongst the people especially in the megacities to get their children admitted in English version schools. There is no room for doubt that it is a positive trend. There is hardly any scope of drawing a sharp line of distinction between Bengali Medium and English version since both follow the same curriculum introduced by the NCTB. The conscious guardians usually prefer English version thinking of the time and age of globalization. In contrast, shortage of teachers in English version is evident. Many English version teachers cannot even speak properly in English, let alone delivering quality lessons. But this scenario will change in near future hopefully in ten years. In your 27 years marathon Career in teaching, what is the best achievement you think? In my 27 years long career in teaching, my best achievement is that I am the biological father of four children as if they are four bright candles and I am also the institutional father of thousands of students who are now serving the nation, holding highly responsible positions at home and abroad. It needs not be clarified that Bangladesh cannot go ahead without the priceless contribution of my golden sons and daughters. Thus, I am satisfied that I was able to kindle the light of knowledge in the heart of my students. Are you satisfied with your past dreams that came into reality? What is your future dream? I spent as many as 30 years in teaching. Now, I have reached the fag end of my life. During my tenure of service in Ideal School and College, I contributed to the best of my ability. I attached my soul to the institution ignoring self-interest and tried to be professional in thought and action. For the sake of school, I had very little time to look after my own family. In this point of view, I am not successful like many other parents. But, perhaps, I am far ahead of them comparing the service rendered. My future dream is to establish more than one educational institution which will be of the first water in view of our achievements in the arena of education. There, the orphans, marooned, poor but meritorious students will get free of cost education opportunities. Over and above the aforesaid dream I cherished from my very student life, I have another dream which keeps lids of both of my eyes open is to raise fund under the name and style of TARA BIBI Sikkha Britti (Scholarship) henceforth within two years.